Arraignment - A criminal defendant's first appearance in court or before a judge on a criminal charge. Bench Trial (also called a court trial) - A trial conducted by a judge without a jury: where a jury trial is waived by the defendant. Conviction - A judgment of guilt against a criminal defendant. A conviction is final at the time of sentencing; however, the conviction can be "reversed" by an appeals court. Dismissal - The dropping of a case by decision of a judge or prosecuting attorney. Felony - A major crime usually punishable by a fine and/or a prison sentence. Guilty - Plea that defendant enters in court admitting that he/she committed the crime; a verdict returned by a jury or judge finding that the prosecution has proven beyond a reasonable doubt that the defendant committed the crime(s). Initial Appearance (or initial hearing) - A court hearing at which time a judge determines if the accused may be released on personal recognizance or on bond; the judge also sets a time for a preliminary hearing in felony cases or arraignment in misdemeanor cases. Jury Trial - A trial before a judge and jury, as opposed to a bench trial before a judge alone. Misdemeanor - A criminal charge punishable by a fine or incarceration in the county jail. Not Guilty Plea - A statement that most defendants routinely enter at arraignment denying committing the crime(s). Perjury - Deliberate false testimony given under oath. Pretrial Conference - An informal meeting between the attorneys for both sides to clarify the issues and attempt to work out a settlement, with the judge or magistrate as moderator, before further court filings or proceedings. Pretrial Hearing - A meeting where the parties to the action appear before the judge in an informal setting to attempt to reconcile the issues and settle the case without the necessity of a trial. It is used to narrow issues to be tried, to secure stipulations as to matters and evidence to be heard, and to take all necessary steps to aid in the disposition of the case. Pro Se - Latin phrase meaning "in his/her own behalf." Sentence - The final judicial decision imposing punishment for conviction in criminal prosecution. 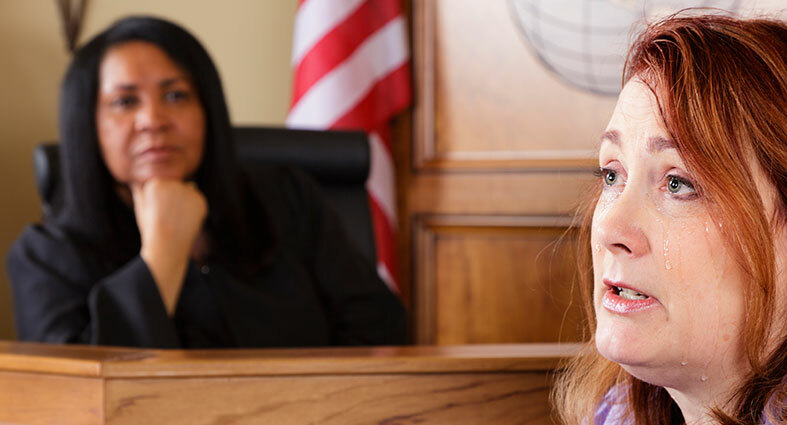 Sentencing - Court proceedings conducted after a conviction or guilty plea of a defendant at which time the judge sets the length and conditions of punishment. Victim - An individual who suffers direct physical, financial and/or emotional harm; or is threatened as a result of the commission of a crime.